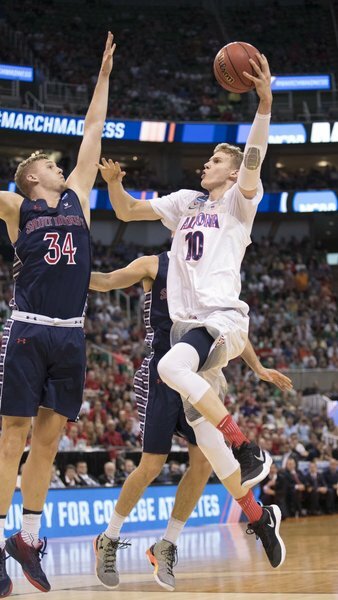 Time for the Trier & Markkanen show to take off! We're following this year's winning path ... someone goes cold, others will pick up the slack. Time for everyone to pick up the slack ... and pick up the pace! One announcer said at one point we were 3 for 19 as a team. Good lord, what has happened to this team suddenly? @MarkkanenLauri shows that's he's ambidextrous on the floor. Has 9 points, 8 rebounds in 1st half. 2nd half won't look anything like the first. Go Cats and Bear Down! Just because X-ray negative, doesn't mean no fracture. It can take up to 2 weeks for a fracture to show up. Second half will be another grind. OK, Mic .. what's the longest Cats have gone without a score? More than the 7 minutes this half? Alkins had X-ray in about 3 minutes of game time. Isn't modern medicine grand? Can't believe Trier is so cold. Do we even have an assist? PJC needs to feed the lanes and/or take a few threes. Amazing half. Trier no points and down by 1. We just need to drive inside and foul them out. Don't know if SMC has a bench, but they cannot defend inside without getting tangled up. We are damn lucky to trail only by one point after a disastrous half like that. Losing against Saint Mary's in the second round would be truly embarrassing. I would not call this a pro-AZ crowd. Folks next to us don't know what state St Mary's is from, but cheering for them (or against AZ) anyway. SM can't defend without fouling. When Arizona started attacking and the team got it's timing fixed, we pulled even. Attack the rim! 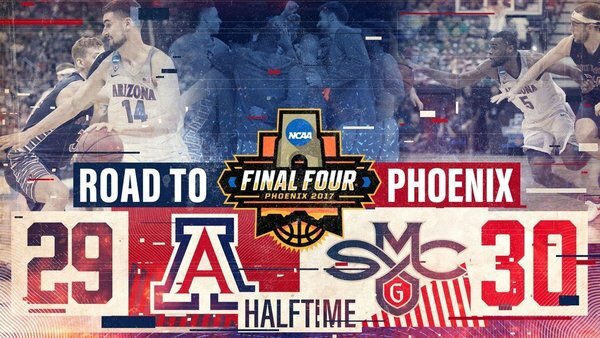 Can't recall when Arizona trailed at half and it felt like a relief. Predictably, with 28 first half possessions, it was Arizona's slowest pace of the season. I love this blog. The coaching from mom's basement is perfect and one of the best coaches in the nation (Miller) should be pushing a broom. #pajamamafia. 2nd half has got to be stellar! Go Cats! I am very disconcerted by how much Randy Bennett looks like Herb Sendek. This is gonna be a long tough game. Coach of the Year will make adjustments. Cats will win! 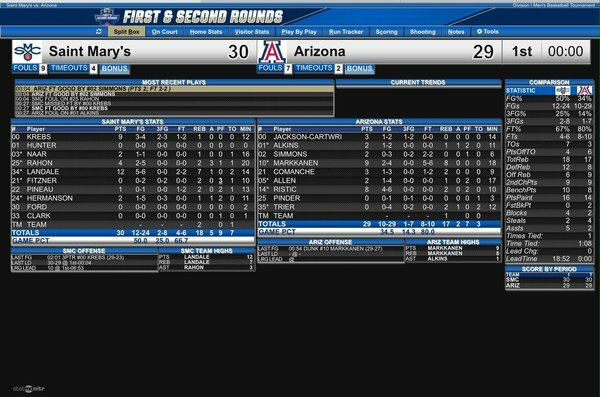 That Arizona is only down one at halftime is remarkable. So they end the half going the right direction. Rawle Alkins gives Arizona an element it really needs - another transition threat but mainly a guy who can playmake out of PnR. Kobi hits both the free throws. Very good that we closed this gap before halftime.